When Kristi told me she was pregnant with her second baby, I took the opportunity to try something new-to-me: crochet. I had crocheted a mermaid tail blanket for my niece, Hannie, but I wanted to try another, more “complicated” pattern. This one from Churchmouse had just enough increases and special shaping that it felt like I was still building this new skill (which I am). I also liked that it was a similar idea to what I knit for Kristi’s first, Amelia. 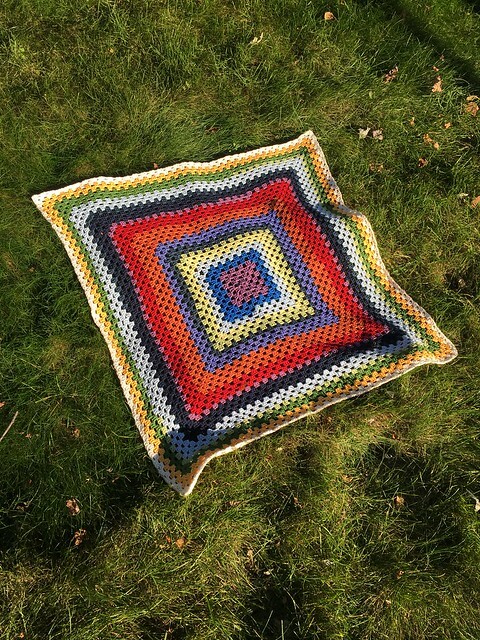 It was a blanket that consisted of many smaller granny squares (knit, not crochet) and also contained a rainbow of colors. 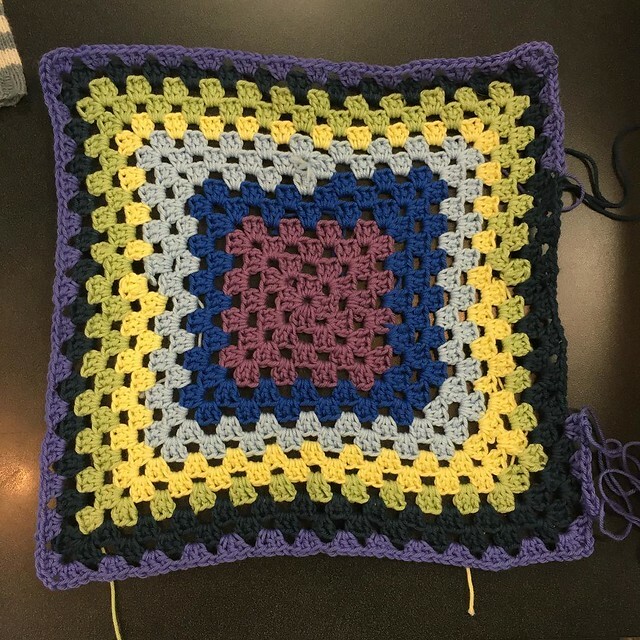 I did start with leftover yarn that I had from another baby blanket, but as I crocheted I kept buying more colors so I could make it a better size for snuggling up in. 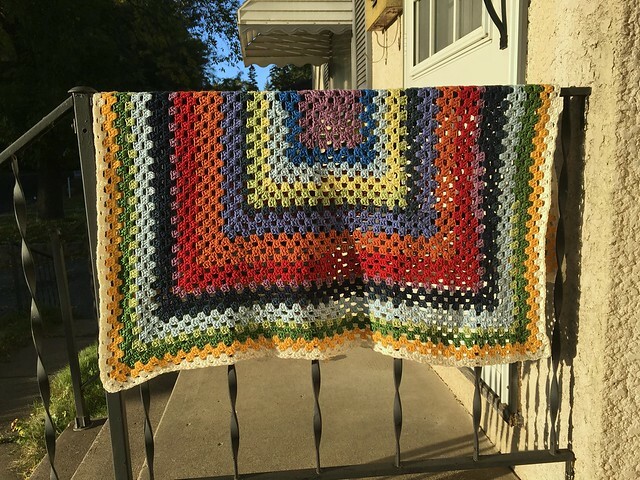 This was actually a pretty easy pattern to work with, and I seriously debated just going and going and going and going… and keeping the blanket for myself. In the end, though, this blanket was perfect for the little dude.